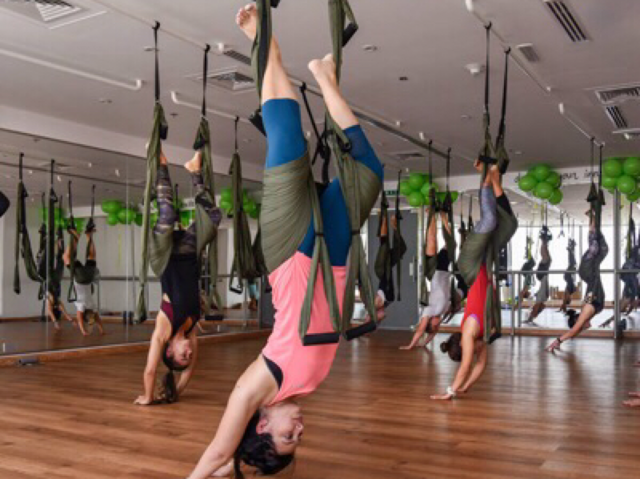 If the thought of hanging upside down freaks you out a little bit, this class at Inspire Yoga Dubai is a great one to start with. Fran is a really cool instructor, and will help you through the flow step by step. Try out a class to let your body stretch and strengthen with minimal effort. A-Tone Fitness Lounge is run by celebrity trainer Yasmin Karachiwala (she trains Bollywood actresses Deepika Padukone and Katrina Kaif!) so you know it’s going to be great. If you fancy trying out a Swing yoga class with a view, this one tops the list! 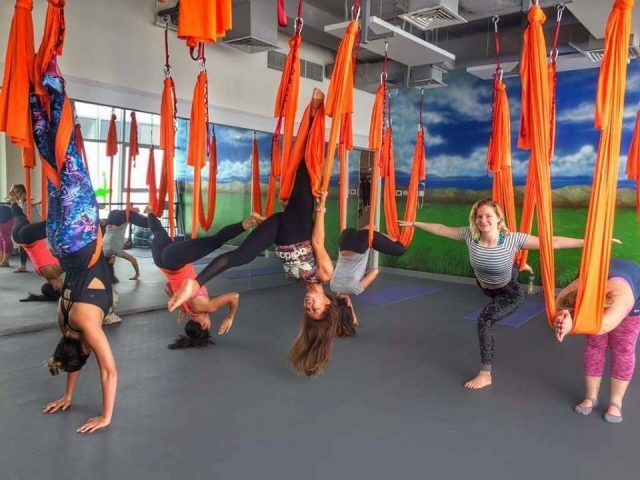 Counteract gravity and hang upside down at Yoga La Vie Dubai’s Aerial yoga class. Suitable for all levels, the silk hammock is used to help you work through postures and inversions. After working on strength and flexibility, the class concludes with a suspended savasana. 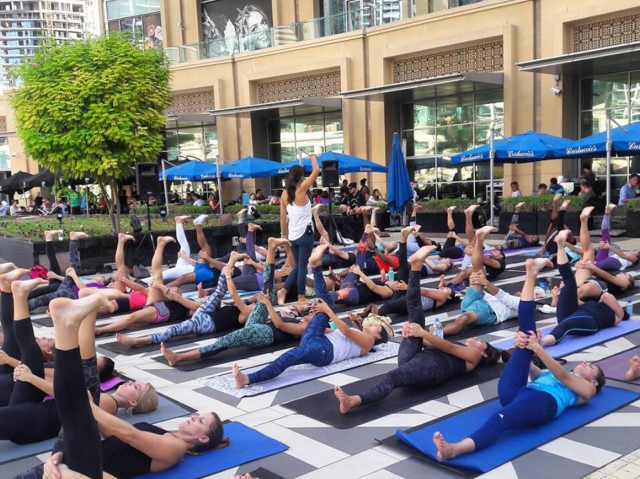 This soothing 60-minute class at Define Dubai aims to calm the mind and improve flexibility. Using a mix of yoga and myofascial techniques, the Define Mind (hammock) class will melt away stress and any tightness in the hamstrings, hips and shoulders. Swing yoga has loads of benefits including better blood circulation, increasing joint mobility and alleviating pain within muscles. If you’re looking to work on a specific part of the body, just inform the instructor so they can tailor your practice to your needs. 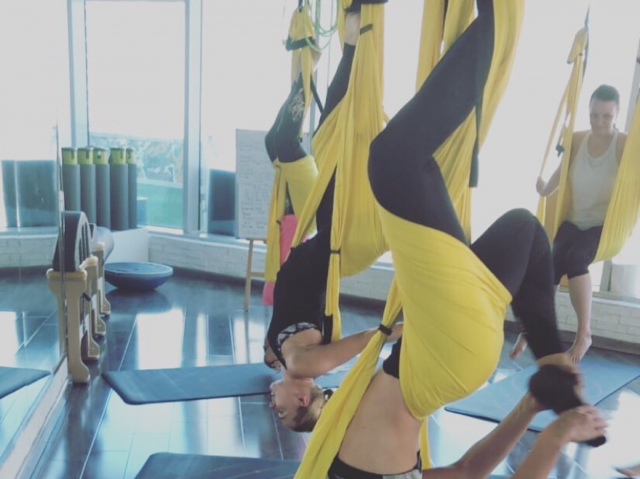 Fun fact: The hammocks at Voyoga Dubai are made from parachute material, so they’re lightweight and heavy duty for usage. Looking for more fun ways to work out? Check out our Workout Classes section for lots of great ideas, and if you’re a huge fan of yoga, here are the hottest places for Bikram yoga in the city!